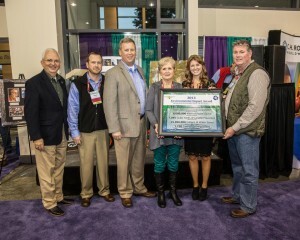 From left to right: Georgia Commissioner of Agriculture Gary Black; Pratt sales rep Steve Stevenson; Pratt Conyers GM John Day; Southern Valley secretary/treasurer Wanda Hamilton Tyler; Southern Valley administration assistant Courtney Hamilton; Southern Valley president Kent Hamilton. Pratt Industries continues its successful environmental awards program honoring some of its most socially-responsible customers – most recently Southern Valley, one of the leading produce growers and shippers in the eastern United States. Through its purchase of our 100% post-consumer recycled packaging and closed loop recycling efforts, Southern Valley has made a significant impact on our planet for future generations. 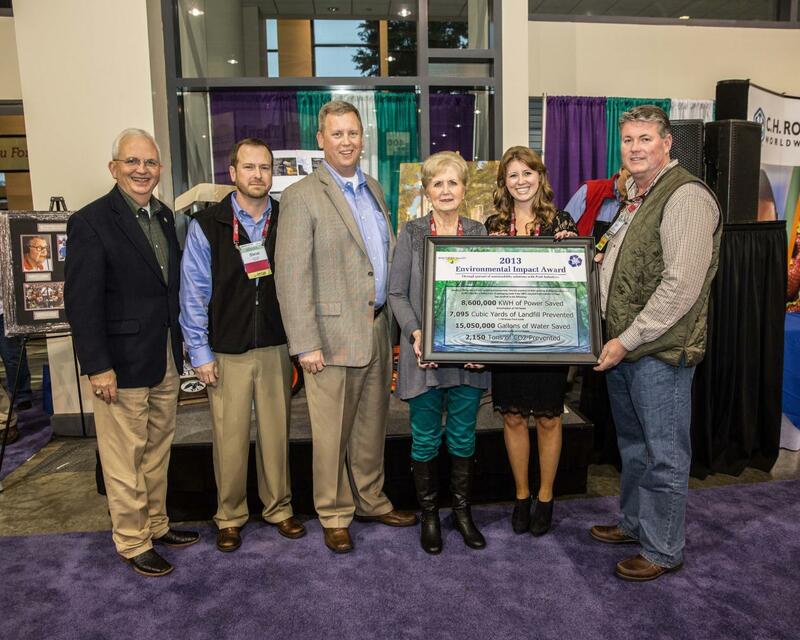 “Southern Valley is not only one of our best agriculture customers, but also one that shares Pratt Industries’ long-time commitment to the environment,” said John Day, GM at our major corrugating plant in Conyers, Ga.
John presented Southern Valley owner Kent Hamilton with the plaque at a major fruit and vegetable growers conference in Savannah, Ga. earlier this month. The presentation was later broadcast on The Georgia Farm Monitor.